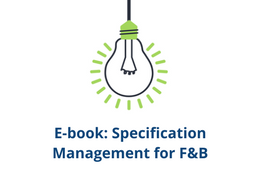 Leaders in the food and beverage industry rely upon Selerant’s tools to ensure their legacies and build future brand loyalty with increased quality, compliance and efficiency. Selerant’s formula-based product lifecycle management (PLM) solution Devex, the Compliance Cloud, and Ecodex sustainable design software provide a powerful comprehensive solution. 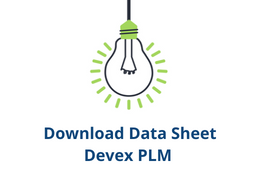 Devex PLM provides the “engine” for New Product Development and Introduction (NPDI), allowing developers to see possible compliance issues and allergens throughout development- not just in the final validation stage. Selerant’s Compliance Cloud provides the “fuel,” complete with continually updated global food regulations, food safety alerts, and vital news from a global team of regulatory experts. This data is used to analyze the formulations in Devex and immediately alert developers to potential issues. Ecodex provides instantaneous Lifecycle Assessment (LCA) results to successfully implement sustainable practices from product ideation, through development, manufacturing, and final use. Selerant’s combined solutions equip Food and Beverage companies to increase agility, while ensuring compliance across multiple product lines worldwide.